Click Settings (gear icon in the upper right-hand of your screen). Under My app settings - Click Mail. 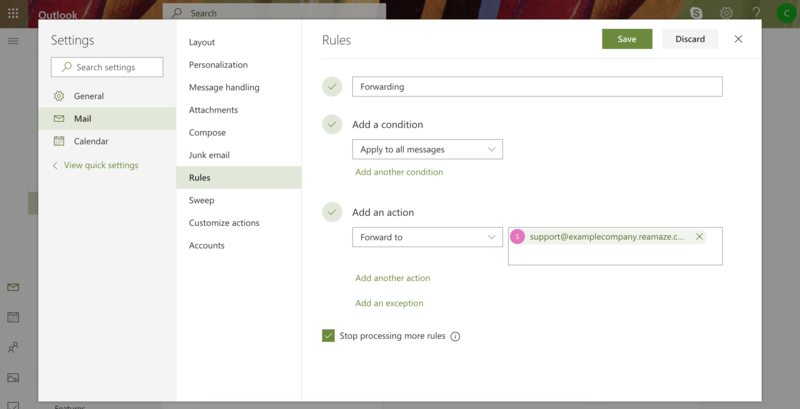 You have the option to keep a copy of all forwarded messages in your Office365 account. If you don't see a Forwarding option, it may not be available for your account. 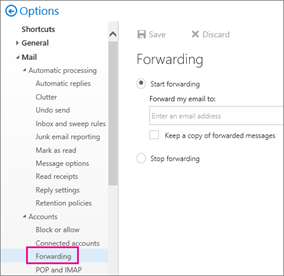 Try using Inbox rules to set up forwarding. Used when you want to send email to group of people without having to type each individual recipient's name, distribution lists are organized by a particular discussion subject (such as “Marketing”) or by users who share common work that requires them to communicate frequently. They also provide a way for you to automatically forward email to multiple email addresses. Distribution lists are sometimes called distribution groups.